Actually @Jesse and @PrettyFlacko, since when did I say commenting was okay? To be fair you never said it wasnt okay, so we're not in the wrong. I was also under the impression that any blogs posted here were public and open for replies. I operate under the assumption that comments are okay unless otherwise mentioned in the first post of the blog. If you'd like these comments to be deleted, lemme know. Found out we now have a PS server...that I won't be using in this lifetime. It's not needed and there is another server I use with a bit more of a community to it. I've done a review for @Fennekin25, which is now uploaded, and also refused ever doing X/Y. There will be a Metroid update sometime today, when I'm not being shouted at. Seriously, does this site need a server? It seems unnecessary. Personally, I think the site is getting to big and fancy when it's still fairly small. A massive site won't attract new people, it's more likely to scare them off with a massive scale. Hell, it's starting to push me away with every update. What was wrong with a quaint community? Uploaded this: http://www.youtube.com/watch?v=aa1DNZwroC4to YT today too. It should do well, given how it opens, but again it's all down to viewer preference. I hope to have R214 ready and up to go by...still the 8th, but hopefully sooner if need be. And @Jesse and @PrettyFlacko, what's wrong with IE? It runs better on my laptop than Chrome and Firefox! Seriously, loading my emails takes 3 seconds on IE but 8 on Chrome and FF! It's not preference, it's practicality. I returned to the large submerged room and made some tricky swings into a vertical shaft with my Grapple Beam. At the top was a sandy cavern, full of creatures. There were Missiles hidden in here. There was a secret area in the west with both Missiles and Super Missiles. Feeling curious, I lay a Power Bomb...nothing. I headed back, satisfied with the haul. I soon realized the cave was empty. Back in the shaft, a Power Bomb led me down below, with a new area to traverse. In a large, frozen chamber, I realized I had finally found the base. Inside was a Missile and Super Missile. I was low on energy but pressed onwards. I eventually fell through the sand into a new area with those same crustacean creatures. I found a room that was seemingly a dead end. There was no way to the door above from below, so I went back, deciding the other sand falls in that large room was the key. Heading back to the large room...I knew there had to be a way forward. I began to use the Grapple Points along the top of the room to swing back left. I found a door into the top of the base and too my horror: METROIDS!...Well....no Mocktroids, failed cloning experiments, but it became apparent Ridley had one goal in mind. I shot through the weak containment cells with a Speed Booster, dispatching the weak clones with ease. The next room though, held a giant snake monster to act as a boss, and also a strong opponent. It moved erratically around the room, but proved no match, with the wall locking me in collapsing soon after. I don't know what lies ahead, but it must be worth it. Found out the site doesn't trust me because of a past mistake. For this, I must apologise. I am sincerely sorry for any harm or upset I caused here during that time, and that I have returned in a better way with a more suitable attitude and better way to vent my emotions by directing them at myself. I hope, that in time, you can all come to trust me again, and that I can become a pro-active member of the site in that time, and help to benefit you all. Been a rather long day. Played no video games either. I feel particularly tired, although I a not sure why. I had to face my light sensitivity too, as the Sun was particularly bright this afternoon. I spent a good while travelling by car, with the kids fighting over my 3DS when I wasn't. Turns out I will probably never learn to drive, as being in an automobile of any sort causes me to fall asleep. Throughout today, I have had my knee partially dislocated, and a large cut along my arm from a kitten. I think I'll be bruised come morning. I'm having a curry shortly, Chicken Tikka Masala, my personal favourite of all curries, although it doesn't quite top Chili as my favourite spicy food. I wish tomorrow be a better day, with less disappointment, and some time to relax. 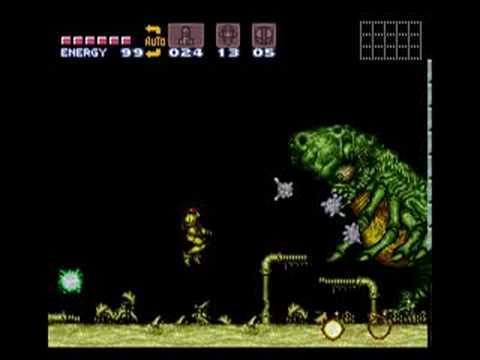 I want to get on with Super Metroid, and upload something to Youtube for your entertainment, all while preparing for my next gaming blog entry, and also R214. The room was in ruins, sand littering the floor below. I soon met the same crustacean creatures from before, and I could tell what was to come. I shot open some generator ports off in the sides of the rooms, as they began to shoot for me, and with a well placed Super Missile I had exposed an electrical outlet on all 4 ports. Soon after Draygon attacked! I let the beast grab me, and as it flew with me in it's arms I used my Grapple Beam to attach myself to the exposed ports, sending thousands of volts through both myself and the creature. I survived with little damage, but Draygon began to explode, sinking into the sand below. In the door beyond I found the Space Jump, and now I could jump as any times as I wanted in the air. I didn't know what to do next, but I remembered that strange area in Norfair I couldn't access. Before heading back though, I wanted to explore more of Maridia. Such a large place was bound to have more secrets. I found a hidden area with strange rolling creatures and an ammo recharge station. Exploring the opposite room, I used the Space Jump to access new areas. One of which acted as a shortcut from the base. I checked my map to see a large area above, and with my new Space Jump, I felt up to the task. Indeed, it proved no hassle. The room I saught was littered with purple space pirates, who I had no hope of harming. The was a statue at the base, holding something I only wished of: The Plasma Beam. Now I was almost unstoppable. I saw another room down in the depths near Brinstar I had yet to even visit, so I made that my task as well. I knew if I was to leave with no regrets, I would search there too. I am also coming very close to finishing up work on preparation for R214, so that will come within a week I think, or at least an unveiling. I've been asleep most of the day, so hopefully tomorrow can be a bit more productive.